NUI Maynooth’s Declan Loftus drilled home 12-foot birdie putt at the fourth sudden-death hole to claim a memorable victory in the Irish Intervarsity Championship at The Heritage. The Castlebar player defeated University of Ulster’s Tiarnan McLarnon, the reigning Irish Youths champion, in a dramatic playoff after they had finished tied on 10 over 226 after 54-holes. Both McLarnon and Loftus had to battle to get into the playoff. McLarnon pitched and putted from 20 yards at the 18th, his 10-foot par putt just wriggling in to the hole to set the target. Loftus looked to be out of contention after reaching the turn in six over, but he showed great fortitude on the back nine, which he played in one over. In the playoff, the first two holes were halved in pars, and then McLarnon missed a major chance from five feet for what would have been a winning par at the third. At the short fourth, McLarnon’s tee shot finished 30 feet behind the flag, while Loftus played his approach to within 12 feet of the hole. McLarnon made a decent effort at his putt, but in the end Loftus finished like a champion, rolling in his birdie two to clinch the title. Meanwhile, UCD’s Chloe Ryan won the Ladies Championship by six shots from defending champion Paula Grant (Lisburn) with UCC’s Jean O’Driscoll in third place. NUI Maynooth’s Gary Hurley was edged out by team mate Declan Loftus at Carton House. Picture by Pat CashmanDeclan Loftus shot a two-under 70 to edge out Irish Intervarsity champion Gary Hurley on the back nine and give NUI Maynooth one-two in the Men’s Intervarsity Series on the Montgomerie Course at Carton House. 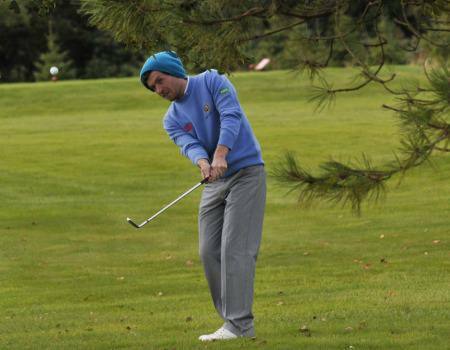 Tiarnan McLarnon played a cruical role in UUJ’s Intervaristy Match Play Championship win. 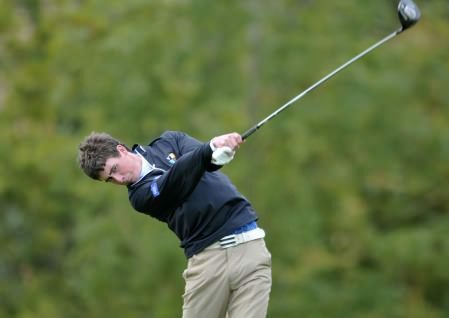 Pictured during the 2012 Irish Amateur Open by Pat CashmanUniversity of Ulster claimed the Irish Intervarsity Match Play Championship at the spectacular Heritage Golf Club, hanging on to beat NUI Maynooth in the final. 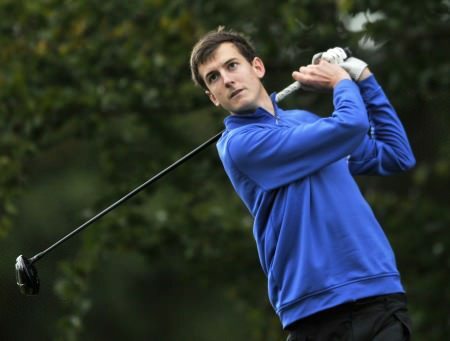 NUI Maynooth’s Gary Hurley is in the frame to defend his Irish Intervarsity Championship crown after he fired a second round 69 to grab a share of the lead with first round leader Ryan Gribben (University of Ulster) at The Heritage, writes the GUI. 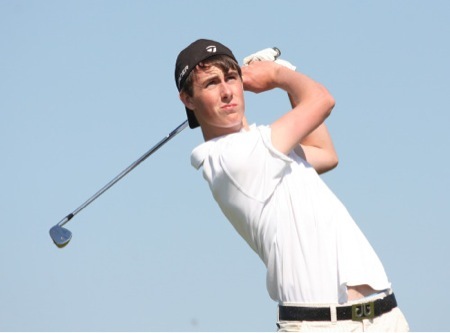 Irish Youths champion Tiarnan McLarnon and NUI Maynooth’s Declan Loftus are tied for the lead after two rounds of the Irish Intervarsity Championship at the Heritage.